If you want to write but feel that you need some help, consider using free book writing software to assist you with your project. Rather than trying to juggle all the aspects of your book writing project yourself, consider the software as a tool that you can use to get the job done. Book writing software can help you organize your plot, identify your turning points, and keep your characters straight. Writers have access to a high number of great online and downloadable software products dedicated to creating and writing. Whether you're just starting out or you've been writing for years, experimenting with new software may give your muse a kick start and help you tackle new challenges in your writing. YWriter Novel Writing Software lets novelists break up their work into a series of scenes. Once they have a concept for each scene, or chapter, the writer can focus on filling in that piece of the book. The software allows the user to keep track of characters on a list, move chapters around, or remove them from the story altogether. The moved chapters can be returned to the story if the writer wants to include them later on. The work is automatically backed up as it is written. To keep you on track, the software tells you how many words or chapters you will need to produce per day to meet your deadline. Once you have completed your work, it can be exported in a Rich Text Format (RTF) or into HTML. 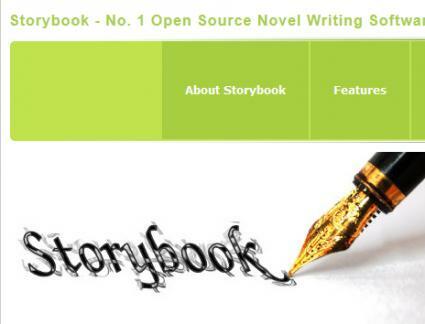 Storybook is open source novel writing software designed to help novelists organize their work. They can start by organizing their ideas about characters and the setting in one place. The software includes the tools you need to manage the plot developments, scenes, and characters in your novel. The "Information" portion of the software shows you all the characters you have created, as well as locations, applicable chapters and plot lines. If something is missing or appears twice, you will see a warning. All of your writing is automatically saved by the Storybook software, so you don't need to worry about losing any of your precious words. Ebook Producer is a shareware product designed for e-book authors. It allows the writer to add links, images, and background music to their project. Once the book has been completed, the reader can turn the pages forward or backward, just like they were reading a print version. LitLift is an online site that provides you with a storage area for creating manuscripts, storing notes and helps writers with collaboration. You create a login and password during your first visit. The software is free and online accessible which allows you to work on your material from any computer with an Internet connection. You create a "new book" file, and can track your characters, settings, items and more. On the plus side, this allows you to collaborate with another writer easily in shared files. BookSmart is free downloadable software that helps you create books and facilitate your publishing options. The software is user-friendly and laid out in a straightforward format. You can also use it to create picture books (comics or children's books). In addition to creating your manuscripts, you can use Booksmart to check the layout of your novel and see the final product. The layout functionality can be very useful to authors who self-publish. When you are trying to determine which free book writing software program is right for you, use the same strategy you would use when considering a product you would have to buy. Figure out what you want the software to do for you, then consider the options available that will give you the features you want. Even if the product is available at no charge, it isn't a bargain if it doesn't help you keep your project organized or formatted in a way that makes sense to you.